Thanks for visiting my stop on the Love Historical’s Valentine’s blog hop. Read my short excerpt to find the name of my hero in this scene where the heroine is fervently apologizing for a series of wrongs. It isn’t romantic in the sense of candles and flowers, but I chose this scene because it is the first time the heroine reveals her heart and any sign of weakness to the man she’s finally realized she loves. 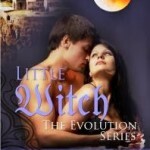 She has one opportunity to prove her love and win him back, though she may be too late. David listened carefully, not certain she realized tears were trickling down her face. She spoke methodically between gasping inhalations. She’d obviously put a great deal of careful thought into what she said and now concentrated mightily on getting all the words out in the right order. She released him, her hands wiping at her cheeks in distress. “ Oh, I did not want to cry! You will think it is some female trick!” She began to sob in earnest, dropping her head to her knees. “Rochelle,” he murmured, putting an arm around her waist to straighten her. She curled toward him so easily, so naturally, to press her wet face to his neck, spasms of remorse wracking her frame. “Go easy now. Calm yourself.” He rubbed her back and spoke soft nonsense until she was able to recover. She held on around his waist, drinking in his warmth and solidity and familiar scent, in full knowledge that this could be the last time she was this close to him. “By this time tomorrow, all will be decided,” he said firmly. She nodded, afraid to ask exactly what his decision would be. “After the tournament,” he said firmly. “You do mean tomorrow after the tournament, not five days after it?” she asked with a sniffle. 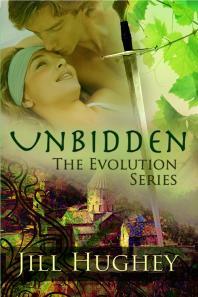 Unbidden is book one in the Evolution Series and is free on most vendors. 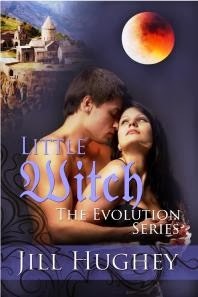 Learn more about Unbidden here, and leave a comment on this blog for a chance to win a print copy of my Evolution Series novella, Little Witch. Please have a mailing address in the continental US, and make sure you leave your email address so I can contact you. But don’t stop here, there’s more blogs to visit and a Rafflecopter to enter! Enter the Rafflecopter at Love Historicals Valentine’s Day Blog Hop and Giveaway, and visit the other Love Historicals Valentine’s Blog Hop participants by using the “Click here” link below. Thanks for visiting! 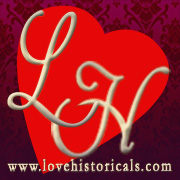 Click here to view the other Love Historicals authors participating in the Valentine’s Day Hop.